The conference gala includes a live screening/performance of HIGHRISE: OUT MY WINDOW, the National Film Board of Canada's Emmy-winning web documentary, performed by the director, accompanied by a live music score of pianist Dafydd Hughes and cellist Nick Storring. HIGHRISE is a multi-year, many media documentary project at the National Film Board of Canada, directed by Katerina Cizek, and produced by Gerry Flahive. 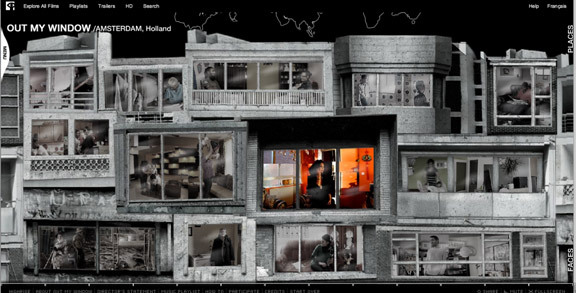 Through diverse media iterations, the project explores the human experience of global vertical living. HIGHRISE is a partner of Dr. Roger Keil's Global Suburbanisms research project, and the team is currently working with Dr. Deborah Cowen and Dr. Emily Paradis on a SSHRC-supported new collaboration entitled "Digital Citizenship in the Global Suburbs." Dafydd Hughes is a musician, programmer and educator based in Toronto. He has performed and recorded with some of Canada’s most notable artists, including Feist, Esthero and Jacksoul. He is active in Canada’s jazz, pop and experimental music scenes through solo work and various collaborations. Nick Storring is a musician, music journalist, and award-winning composer based in Toronto. His music has been commissioned by Arraymusic, Eve Egoyan, the Canadian Music Centre's Norman Burgess Fund, the AKOUSMA Festival in Montréal, and regularly accompanies work in other disciplines.